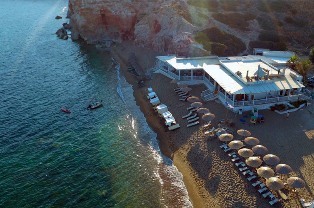 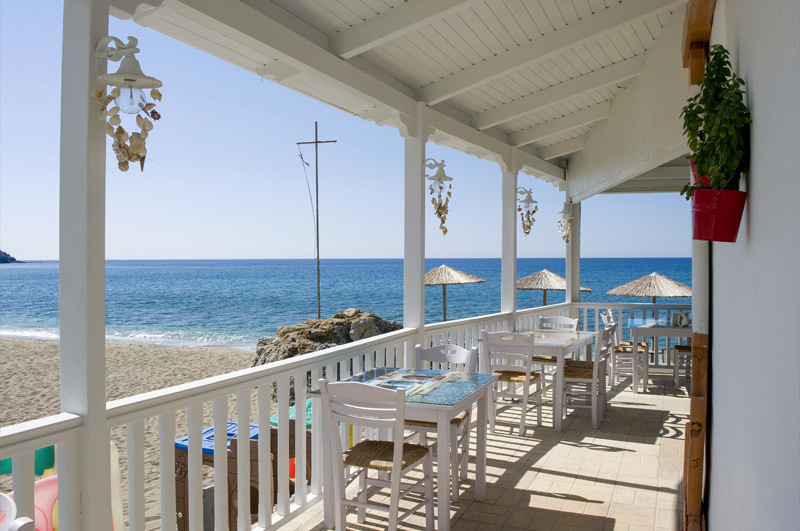 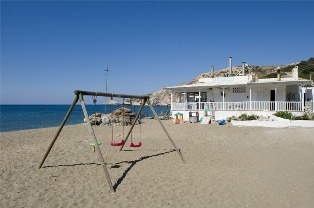 As you arrive to the most beautiful Milos beach, Paliochori, you will encounter Sirocco Restaurant. 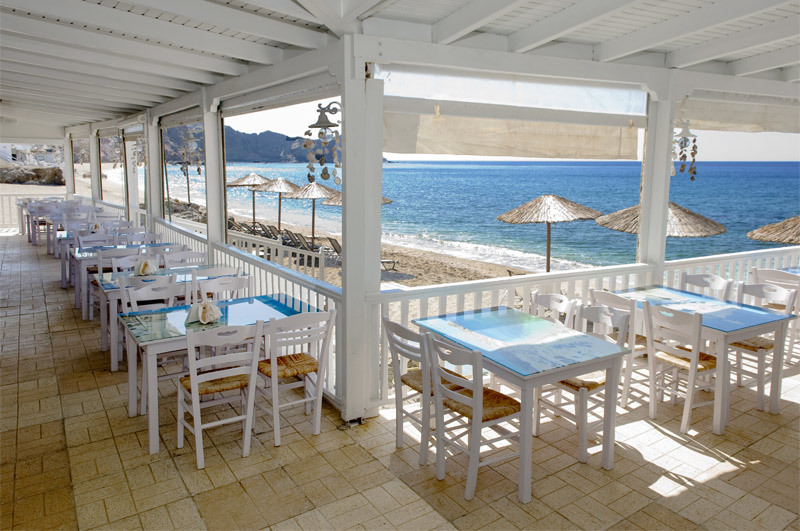 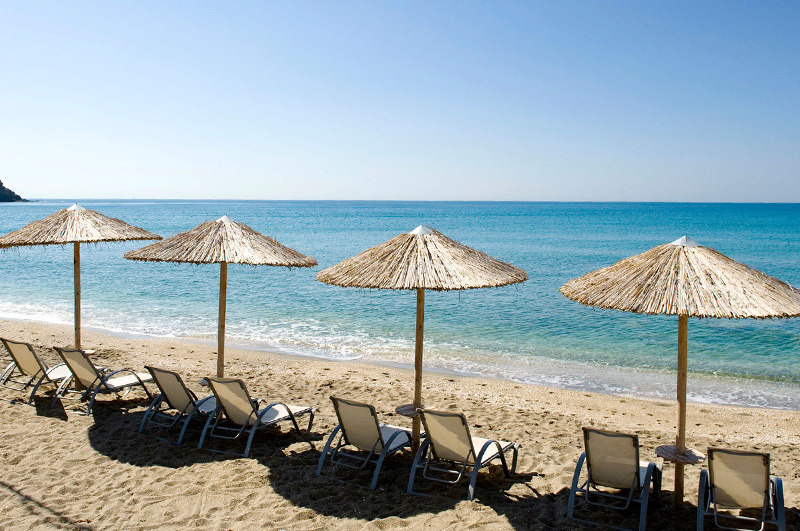 Sirocco, right on the beach is equipped with chairs and umbrellas and with bar service. 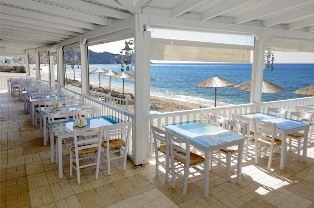 Sirocco Restaurant in Milos Greece offers the best traditional food on the island and fresh seafood. 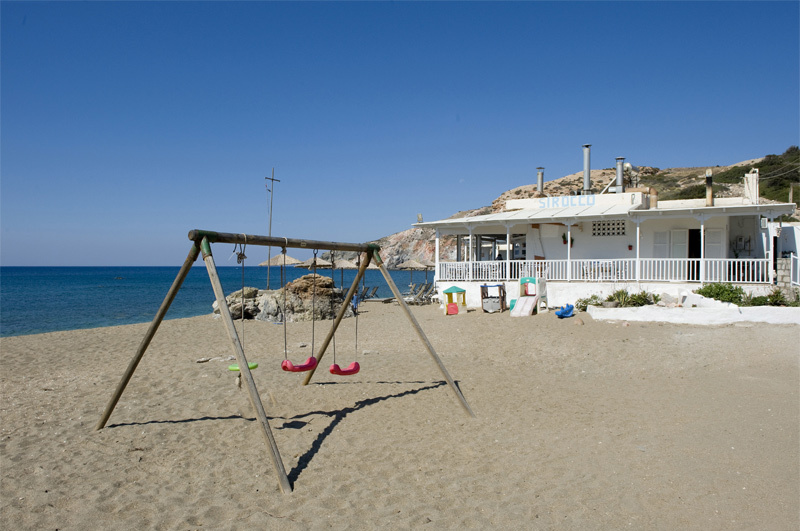 Here you cal also find something unique, the “Volcanic dishes” of Milos, lamb or fish cooked in the sand. 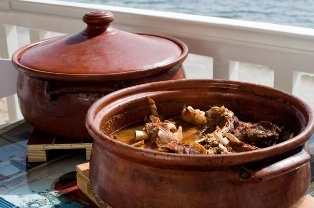 Sirocco Restaurant cooks many plates for hours at the temperature of 102° in the oven placed under the hot sands of that beach area, an ideal ecological way of cooking. It is a “must” to taste these plates! 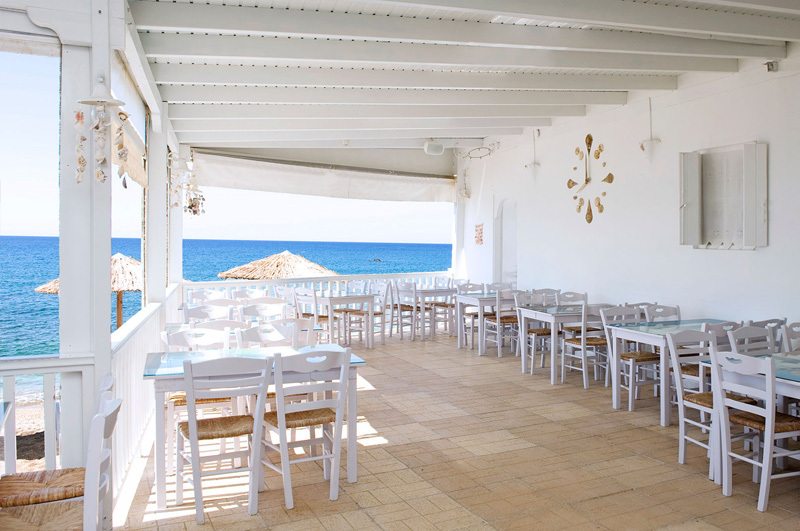 Apart from its nice environment, the restaurant menu includes a large variety of homemade plates, from seafood, fishes and meats of all kind, vegetables, and sweets, all of first quality, well prepared with many local recipes and at very convenient prices. 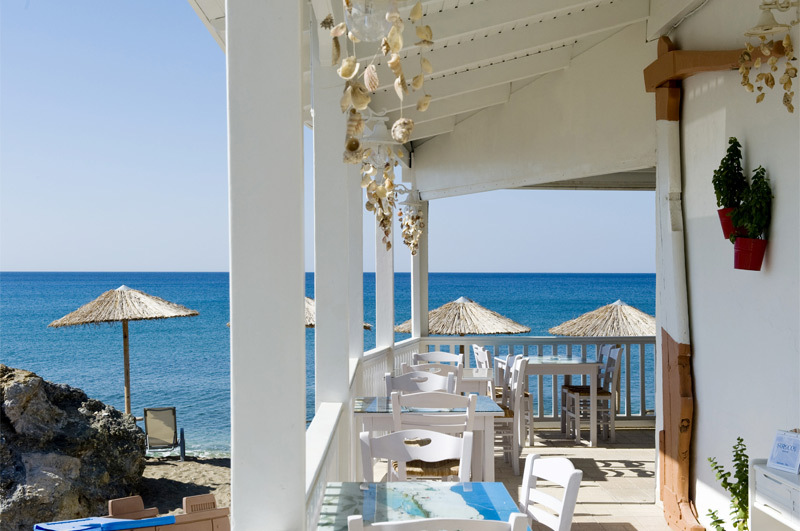 In addition, a proper list of drinks is available. 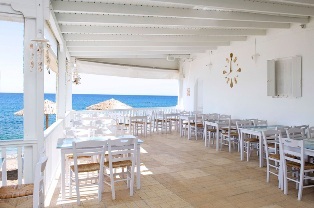 Menu is available in the main European languages. 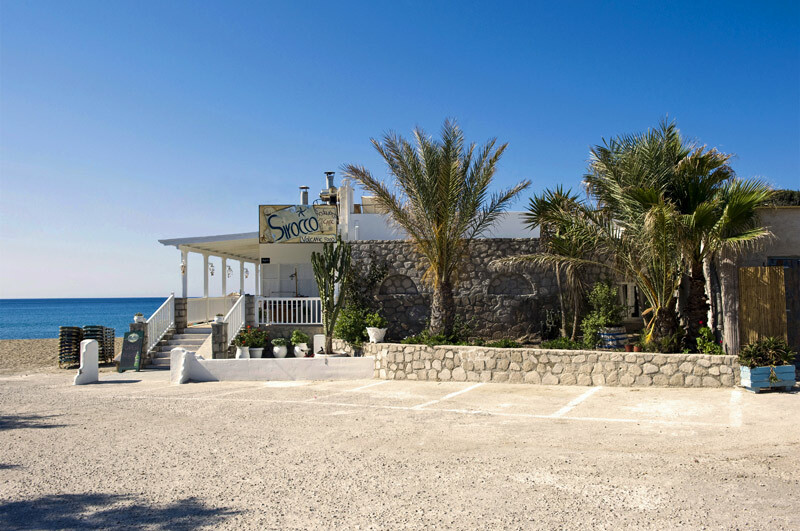 Sirocco’s service is gentle and well conducted, thanks to the long professional experience of Stella and her team. Sirocco Restaurant is open from April to October, all day long, from breakfast to dinner.